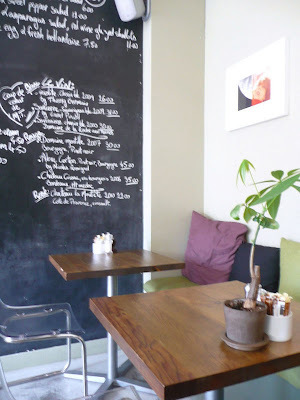 Lovely Brighton: Looking for a French bistro? Mange Tout is there for you! Looking for a French bistro? Mange Tout is there for you! 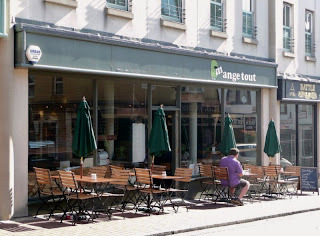 Although it is impossible to find a real baguette in Brighton, there are some nice frenchy places to go, and Mange-Tout is one of them! Hidden behind North Laine, Mange Tout is a cafe-restaurant serving a wide variety of French classic dishes at reasonable prices. Among them, you can find the traditional coq au vin, beef bourguignon, charcuterie platters or cheesy tartines! The place is well-design and is often crowded with working people looking for a trendy place to have lunch. The general atmosphere of Mange-Tout reminded me some of the bohemian cafes I used to go in Paris; and I must say that it is sometimes nice to feel back home :). All the staff is French and very friendly (yes we are not all grumpy people!). 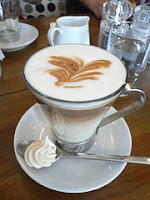 went there for coffee so I won’t be able to comment on the food. However, I’ve tried their reinvention of the well-known Bread & Butter pudding, which was pretty good... and a lot lighter than the original version. 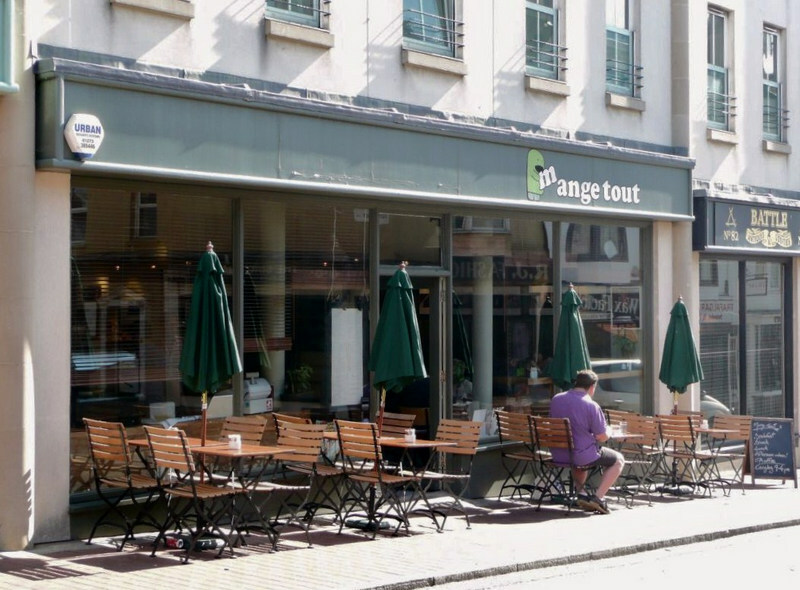 Anyways, if you’re looking for a place to eat French healthy food, I would definitely recommend Mange-Tout. It is a lot better than chains like Cafe Rouge where the food is typically industrial.